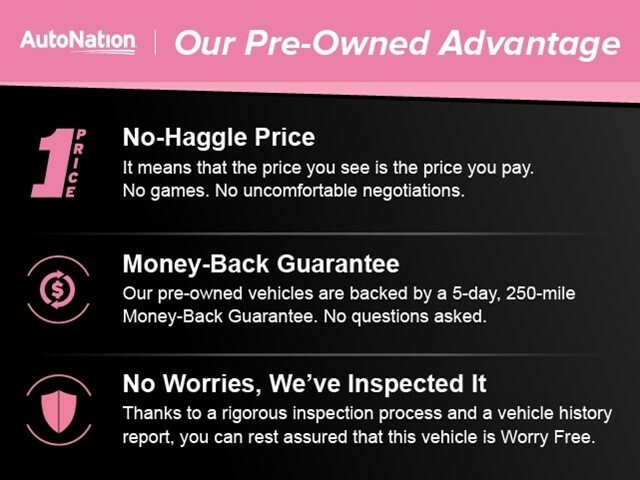 VALUE PACKAGE PLUS,FLUID BLACK W/HIGHLIGHT BMW I BLUE,Navigation System,Keyless Start,Bluetooth Connection,Rear Spoiler,DEKA GRAY/BLUE HIGHLIGHT CLOTH UPHOLSTERY,VALUE PACKAGE This vehicle includes a Money-Back Guarantee* and passed our precise inspection process. Best of all the price you see is the price you pay. No haggling. No back and forth. No pressure. And this price is so good it is guaranteed. Looking for a clean, well-cared for 2016 BMW i3? This is it. This BMW includes: VALUE PACKAGE PLUS Keyless Start Power Door Locks Keyless Entry VALUE PACKAGE Aluminum Wheels Navigation System Universal Garage Door Opener Hard Disk Drive Media Storage MP3 Player FLUID BLACK W/HIGHLIGHT BMW DEKA GRAY/BLUE HIGHLIGHT, CLOTH UPHOLSTERY Cloth Seats *Note - For third party subscriptions or services, please contact the dealer for more information. 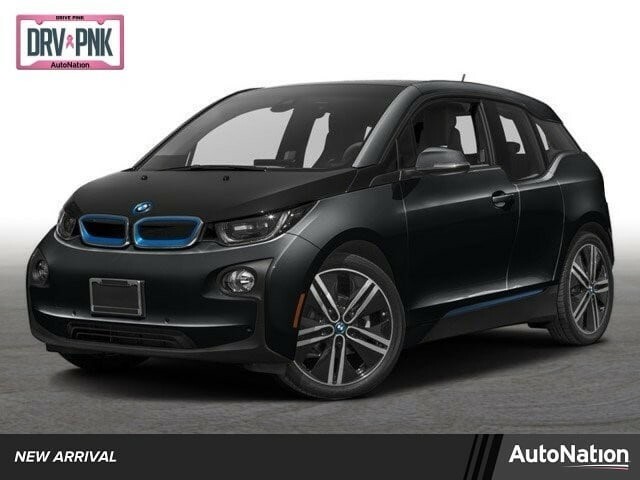 * As a Certified Pre-Owned vehicle, this BMW i3 offers you the peace of mind because you know it has been rigorously inspected to meet exacting standards. Opulent refinements married with exceptional engineering make this the kind of car you'll want to own for a lifetime. The i3 has been lightly driven and there is little to no wear and tear on this vehicle. The care taken on this gently used vehicle is reflective of the 23,780mi put on this BMW. This vehicle comes with a navigation system. That doesn't mean you won't get lost. But it does mean you won't stay lost. More information about the 2016 BMW i3: The BMW i3 is part of the new wave of electric and hybrid cars that are becoming more and more popular in the U.S. The i3 has relatively compact external dimensions, but still has a very usable cabin with surprising amounts of interior space. Standard equipment levels are high and the i3 generally aims to compete in the compact premium segment, offering buyers plenty of luxury features in a car that is perhaps a little smaller than the traditional luxury cars of old. Of course, the electric drivetrain is what really separates the i3 from its competitors. In standard form, it offers a combination of usable range and remarkably fast charging times. With the optional range extender equipped, the system offers functionality similar to other hybrid cars on the market such as the Chevrolet Volt. The i3 uses a range-extending gasoline engine exclusively as a generator, providing electric power to the rear wheel motors. The i3 base price starts at under $43,000, while versions equipped with a range extender start at around $46,000. Interesting features of this model are Small footprint, electric drivetrain, efficient usage of space, good driving dynamics, and full of cutting-edge technology *Money-Back Guarantee is valid for 5 days or 250 miles, whichever comes first. Subject to certain terms and conditions. See store for details. Some restrictions apply.